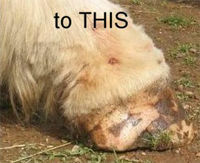 After severe wall separation and the vet and farrier working on the hoof it made little improvement in almost 6 months. The vet suggested the owner try Worlds Best Hoof Oil and after only 10 weeks the horse was shod and could be ridden. 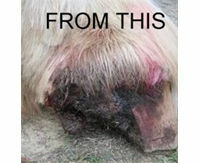 About Worlds Best Hoof Oil - Hoof Care you can trust. The Worlds Best Hoof Oil has 100% genuine, pure and undiluted natural ingredients and has been tested and used for over 50 years. With 5 natural Oils and Vitamins that absorb quickly and promote healthy hooves. 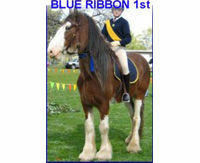 Ideal for any breed of horse that requires quick, strong healthy growth for work, ring, racetracks or pleasure.